Resin outer coating for increased durability. Nickel plated identity tag with three coulours of enamel. 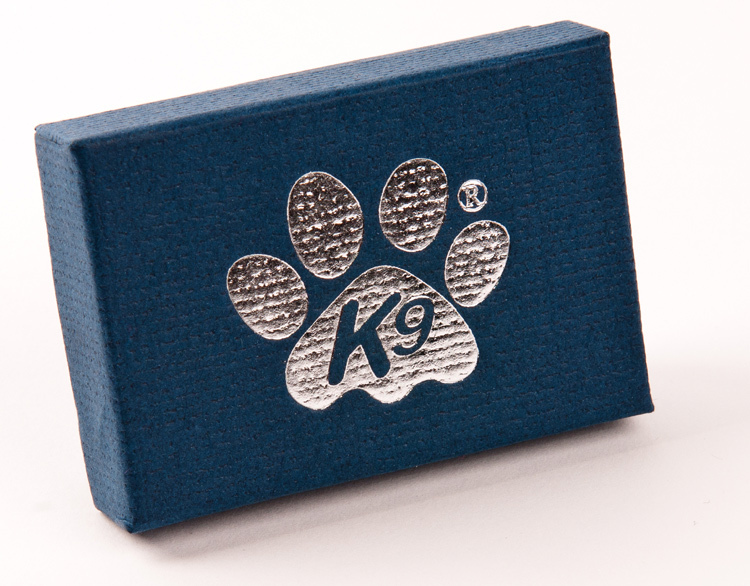 Presented in a smart gift box with silver printed K9 logo. You couldn't be more on the mark with this popular tag! A nod to the Mods and Pop Art makes this iconic symbol a stylish pet identity tag. 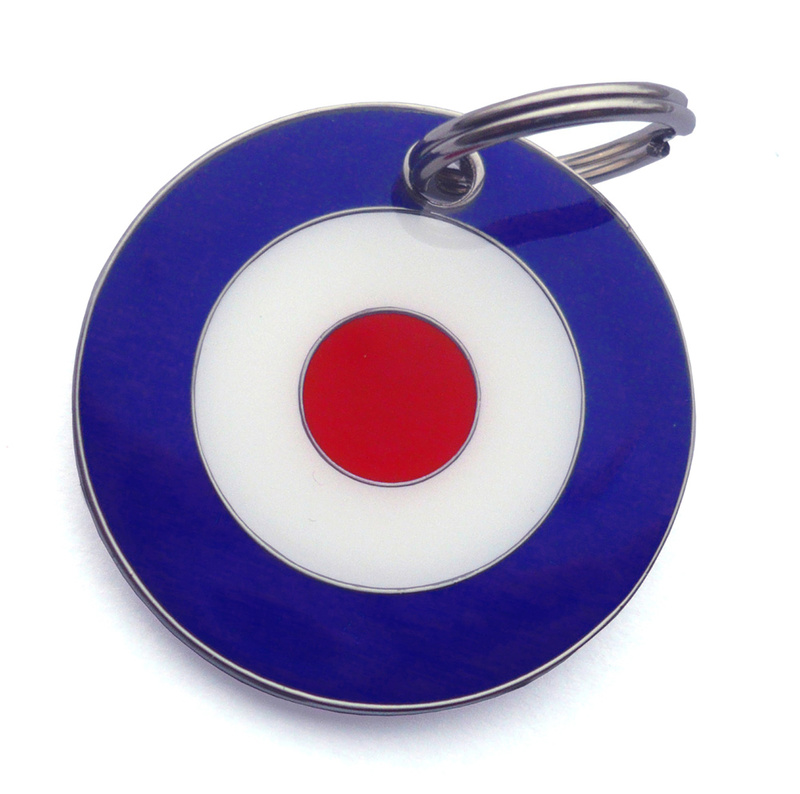 A tri coloured nickel plated identity tag in enamel. Each tag has a resin outer coating for increased durability, a split ring and is presented in a smart gift box with silver printed K9 logo. A maximum of 3 lines per side can be engraved with up to 13 characters per line (including spaces).